Today's look is simple and ever so easy to pull off. Fashion for winter can be effortless and fun. Sometimes just grabbing our basic black and grey's, will pull you together in an instant. And if you are busy like me, then anything that saves you time as a mama in the morning is a huge plus. 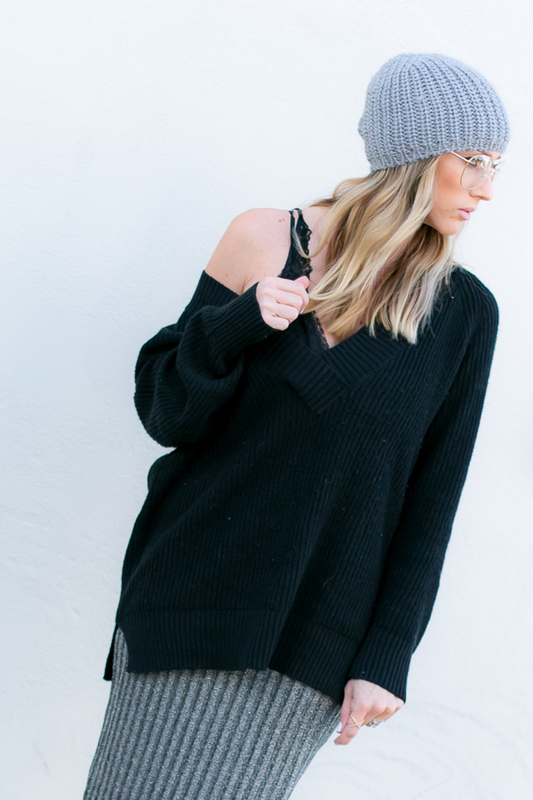 Let's be honest, there are those days as a busy mama or lady that we just do not feel like doing our hair and I love to throw on a beanie (I call it my urban look) to cover those crazy locks. 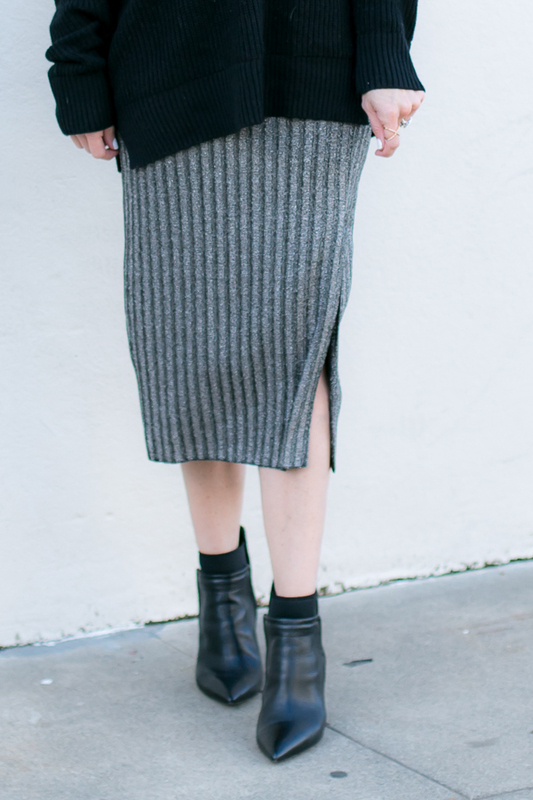 This ribbed grey midi skirt has a wonderful elastic band waist and the material is stretchy and forgiving. It would even look cute with tights and tall boots, a crisp white blouse and rich velvet blazer for the office. I also have that skirt and love the way you styled it!